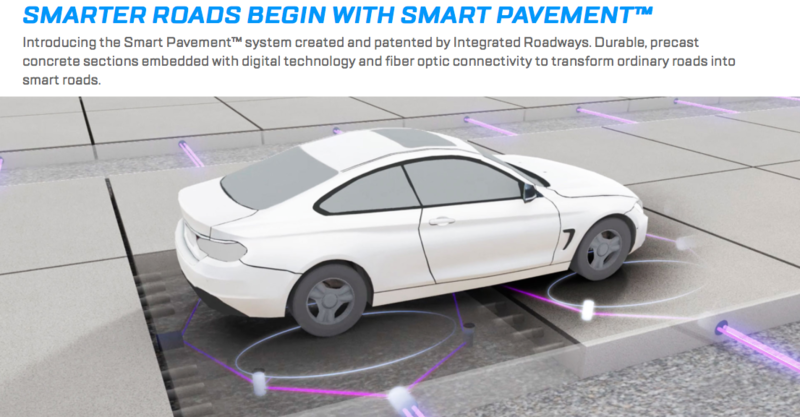 SMART PAVEMENT is already here. 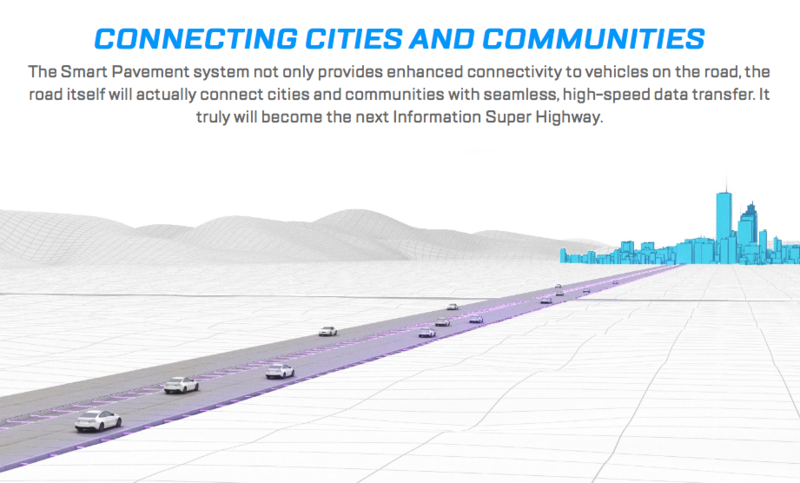 5G under the roads! Just when we thought the 5G revolution could not get any worse, the technocracy decides to run antennae under the American roadway system. The unacknowledged implications of this perilous development are as far-reaching as they are catastrophic. The folks guinea pigs in Colorado are the first to be experimented on, and apparently without their consent. For those who are immediate risk because of their location in the Colorado, the following website provides more information about the primary contractor. The Vimeo video at the top of this post offers additional info/data concerning this extremely dangerous development. N.B. What follows is an SOS email that we received from the CellPhoneTaskForce.org alerting us to this “pilot ‘smart pavement’ project”. 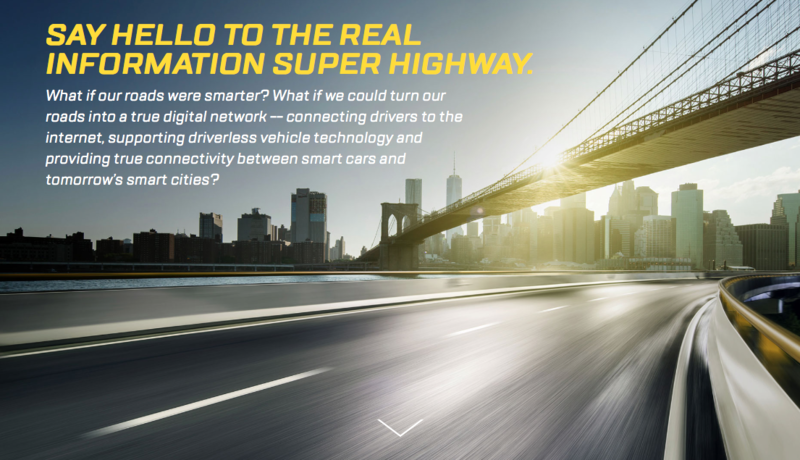 The Colorado Department of Transportation has awarded a $2.75 million contract to a Kansas City company called Integrated Roadways (www.integratedroadways.com) for a pilot “smart pavement” project. It will be installed on a half-mile stretch of U.S. 285 near Fairplay, Colorado south of Breckenridge. Integrated Roadways is partnering with Kiewit Infrastructure Co., Cisco Systems, WSP Global and Wichita Concrete Pipe for the pilot project. 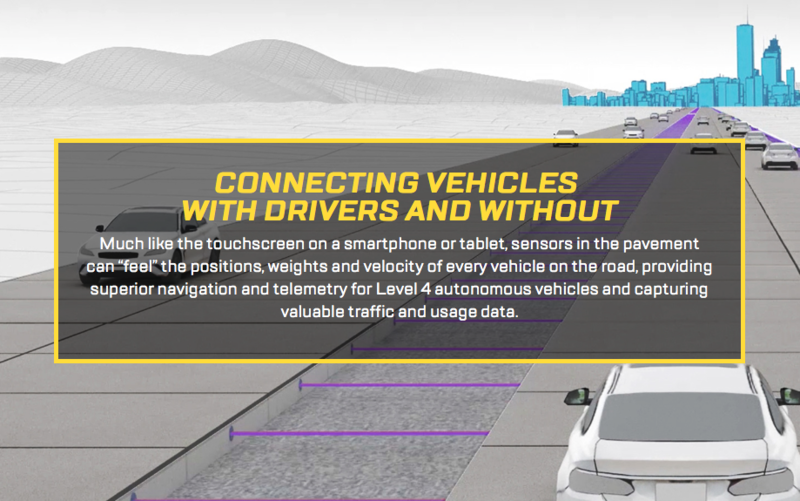 This is being developed along with 5G as part of the nationwide infrastructure for driverless cars. 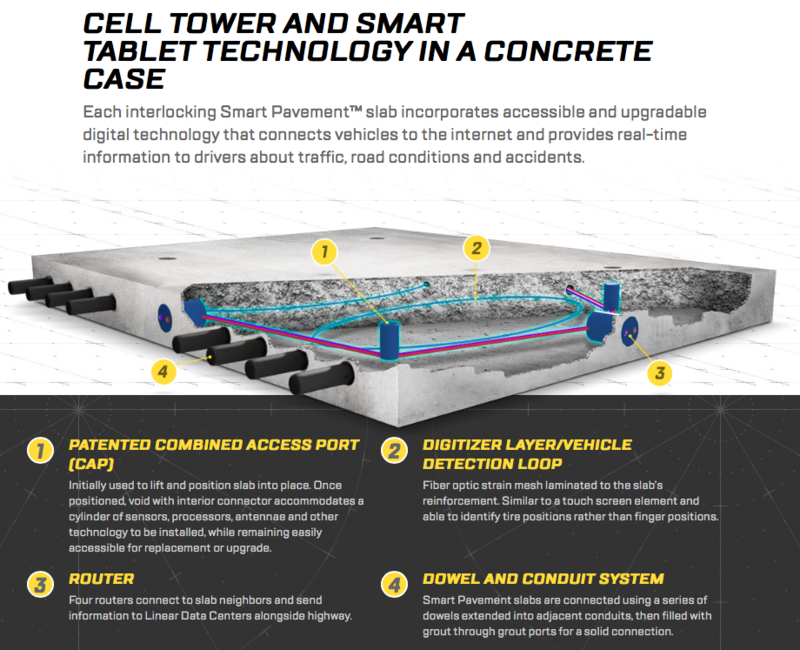 Each interlocking slab of smart pavement will contain fiber optic mesh configured similar to a touch screen computer. The pavement will sense the instantaneous position, weight, and velocity of every vehicle on the road. Each slab will also contain antennas under the pavement that will send the data wirelessly to your car. The following screenshots were taken for the same website: INTEGRATED ROADWAYS.